In celebrity news, Ronnie Ortiz-Magro recently apologized to daughter Ariana Sky and girlfriend Jen Harley during an episode of Jersey Shore: Family Vacation. The episode showed him jumping into a hot tub with Lindsay aka “Jewish Barbie,” a friend of Angelina Pivarnick’s. Ortiz-Magro wrote in an Instagram story, “Obviously the last episode has made it seem like I was into Jewish rag doll. It edited to make it look worse. I was in a bad place in my life and my relationship and I acted out of anger & immature resentment.” He continues to say, “Since then (sic) I’ve grown & wouldn’t want to hurt my girlfriend or my daughter, everyone makes mistakes and you’ll see next week that I learned from mine,” Usmagazine.com reports. The celebrity couple started dating in July 2017 and welcomed a daughter in April 2018. 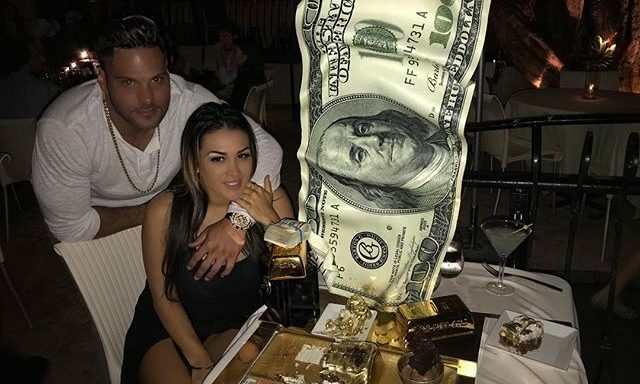 In celebrity news, Ronnie Ortiz-Magro is cutting the drama and apologizing to his significant other and their child. What are some ways to make it right with your partner after a fight?? 1. Don’t be petty: After a fight, your emotion might still be running high, so let the dust settle after a fight. You may feel like throwing in some last-minute shade, passive-aggressive jabs or get back at them. But all that does is prolong the nastiness of your fight. The best thing is to let it go and work out your problems. 2. Give them space: Give your partner space, but also take some time for yourself. After a fight, you might need some time alone, to recover, heal and reflect. 3. Communicate productively: You know what they say about communication! Communication is the key to any relationship. To get back to a good place with your partner, it’s very important to talk about it with your partner. It’s also important to understand where each person is coming from and where you stand. It may be hard to communicate openly and honestly but if you love each other you will try. A few things to keep in mind; give up the need to be right, don’t be defensive, deal with one issue at a time, no hitting below the belt and be kind to each other. What are some ways to make it right with your partner after a fight? Share your thoughts below.